While passing by an urban park in Ottawa recently, I noticed something I loved had been taken away. One of my favourite spots for work day wanderings and pondering had been painted over. The new art work looked like bare tree limbs against a multicolored sunset. Either that or some artistic feather design. 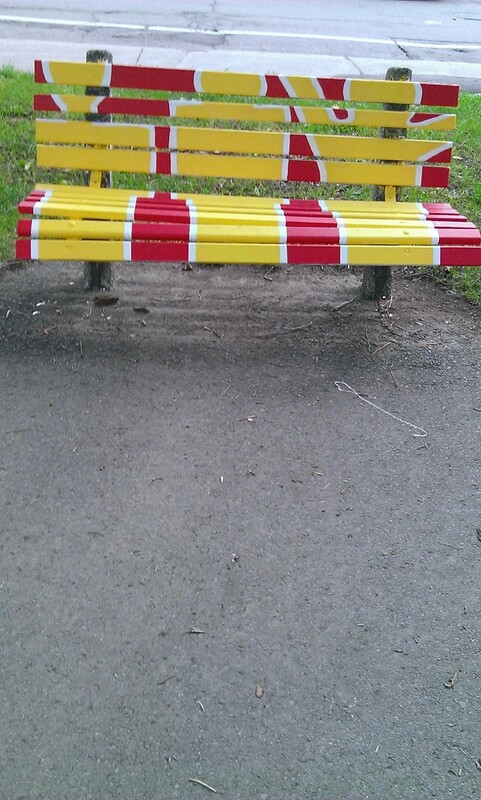 I noticed a few other benches had been painted over too. It had been a while since I took a lunchtime walk up here but this change must have occurred just this autumn. 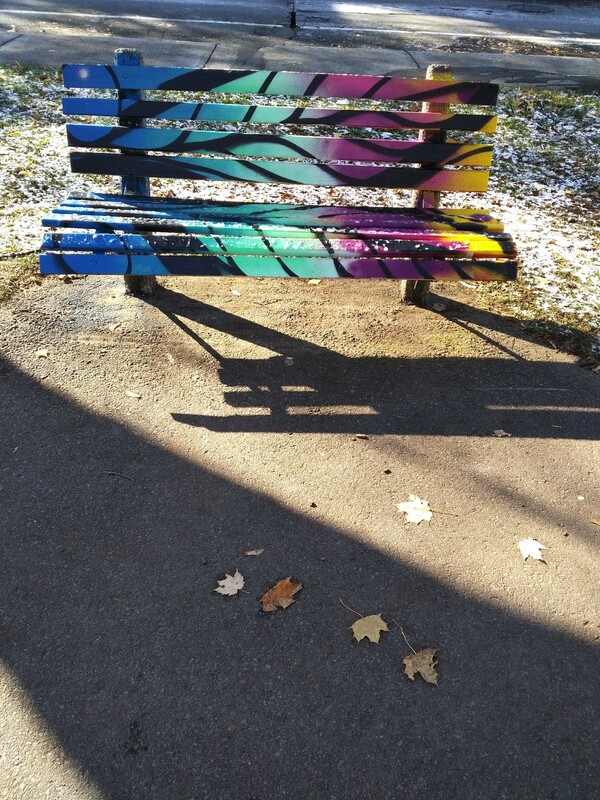 I am sure I will eventually find out why someone did this but I’m still processing, reeling from the change to favourite park bench’s art. I had become fond of the previous artwork and what it represented to me as I approached a wonderful new discovery in 2015 and rekindled relationships. It will take me a while to accept the new design. But … as in my professional and personal life, I have learned to adapt to change, to accept the changes that are beyond my control. 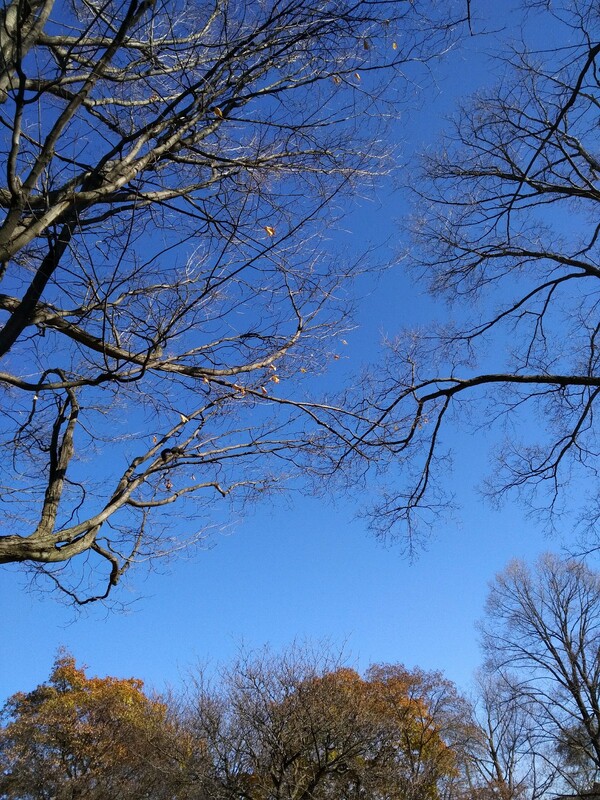 At least my two favourite trees have not changed – except for losing their leaves again in preparation for winter’s sleep. 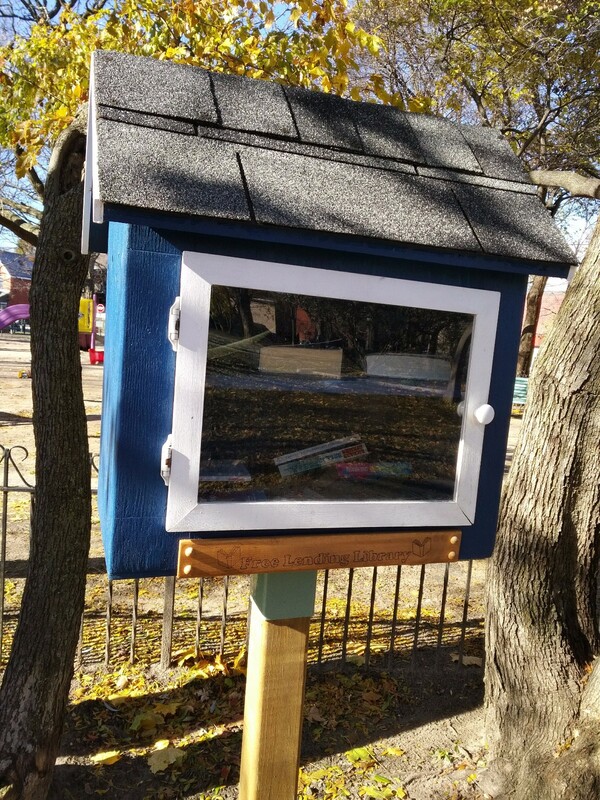 I was consoled and delighted to see something new – a little book lending library. 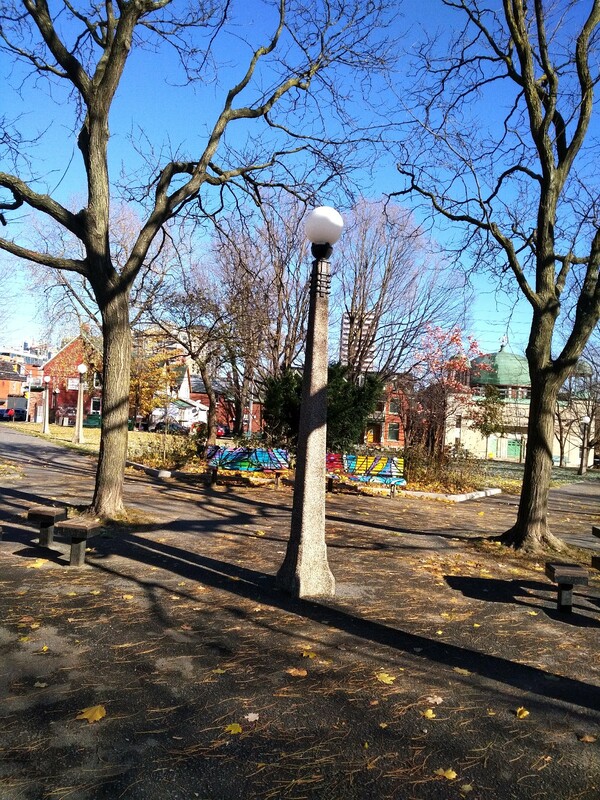 It was a sign of sharing and trust in this eclectic downtown park. I hope it survives the winter and disturbing elements that sometimes occupy the area.